Our Brisbane based fishing charters, will target popular species such as Snapper, Pearl Perch, Trag Jew, Red Throat Emperor, Sweet Lip, King Fish, Amberjack, Jew Fish, Wahoo, Dolphin Fish and other quality table fish. 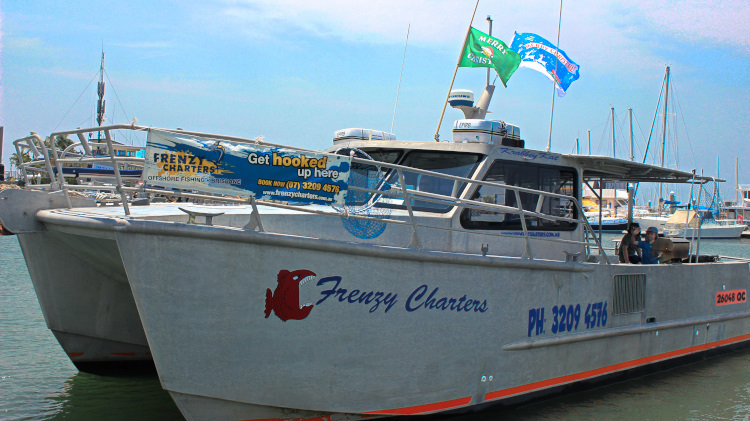 Whether you are looking for a family fun day fishing, or an all out offshore adventure, Gary & Noelle will make every effort to see that your Brisbane fishing charter will be one you will long remember and soon want to repeat. View our charter availability calendar below to check if we are available on your dates.